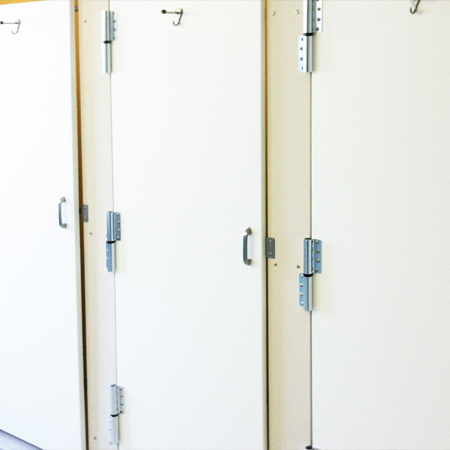 Meridian Solid Surface flatstock are NSF-51® Standard certified after meeting the strict requirements for products used to manufacture food equipment and related materials. NSF requirements for food equipment and material safety help ensure products do not release harmful chemicals into food and safeguard against products that may harbor bacteria. 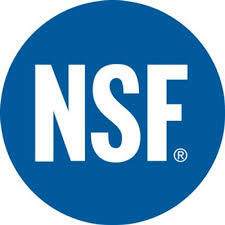 NSF-51 Standard establishes minimum public health and sanitation requirements for materials and finishes such as food preparation and serving surfaces. Meridian Solid Surface shower wall panels will transform your standard or custom shower base into a complete shower solution. 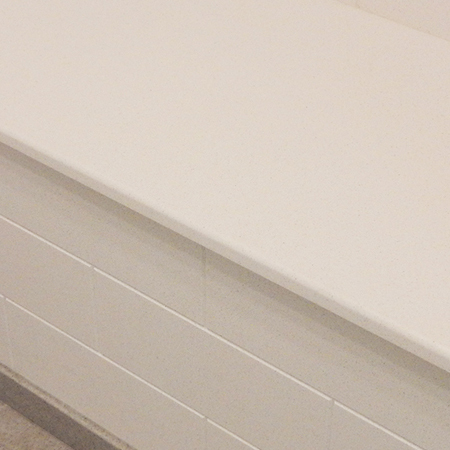 When combined with our Meridian Solid Surface shower bases, Meridian Solid Surface shower wall panels provide a sleek, streamlined look that makes maintenance a breeze, with no unsightly grout lines in which mold and mildew can hide. 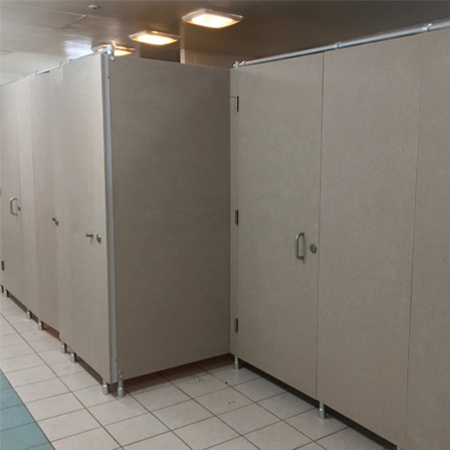 Shower wall panels are offered in various thicknesses and are sized to match your shower base, although minor trimming and scribing at the time of installation is to be expected. They are available in your choice of several standard colors to achieve a soothing monochromatic look or a striking counterpoint to your Meridian Solid Surface shower base. 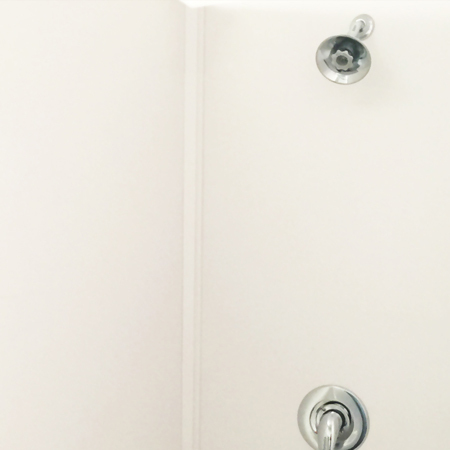 You may also customize your shower wall panel installation with Meridian Solid Surface shower trim moldings and shower accessories to provide a customized shower solution tailored to your specific needs.